Dog: Aww, don't cry. It'll be okay. 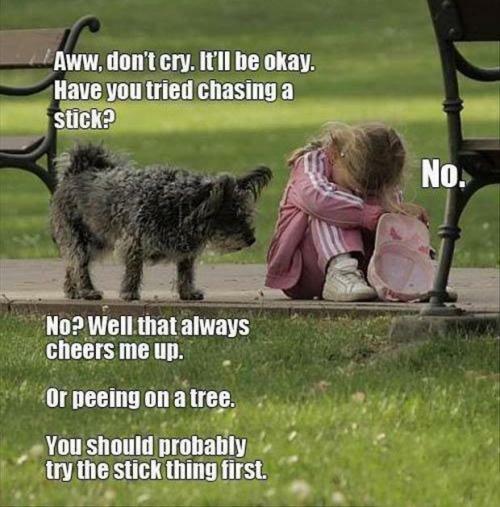 Have you tried chasing a stick? Girl: No. Dog: No? Well that always cheers me up. Or peeing on a tree. You should probably try the stick thing first. Dog: Aww, don't cry. It'll be okay. Have you tried chasing a stick? Dog: No? Well that always cheers me up. Or peeing on a tree. You should probably try the stick thing first.